This product produces 308mm wheelbase when using our CMAX Front link kit. This kit is easily adjusted longer in the rear to make a 313mm wheelbase. This kit will set up your CMAX Rear link suspension using our CMAX link Plates, and TM8 Rear axle housing. 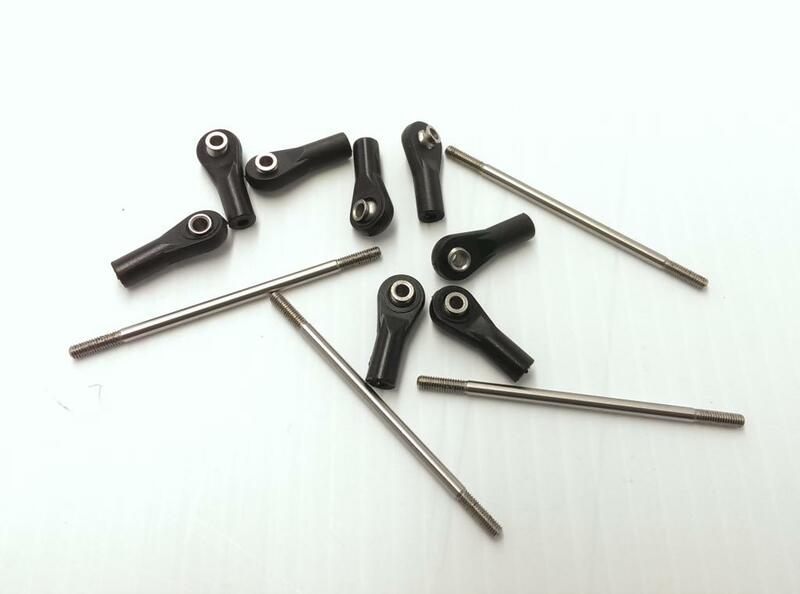 This front link kit comes with stainless steel link shafts and tight plastic rod ends. Simply thread the rod end on the stainless link shaft to the end of the threaded portion, and your link size should be perfect for the front end. Check your bag packaging for the link lengths and positions.